With the economic downturn, people aren’t as willing to spend their money nowadays. We’re always looking for the cheapest and cost-efficient way to fund a project, whether that be renovating our homes or even our wardrobe. Given the popularity of DIY projects, people have become their own bosses, as well as their very own fashion designers. Besides, who needs to spend sixty dollars on a blouse when we can sew one ourselves? 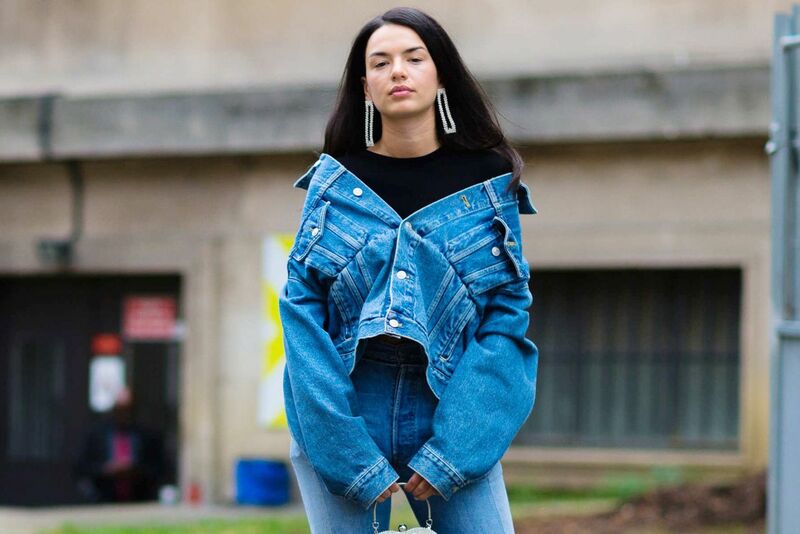 People have taken to reinventing their clothing articles, one of which happens to be denim jackets. Here are 10 unique ways to revive your distressed and outdated denim. Just like leather goes best with combat boots, so does denim and chains. This look makes anyone look like a real baddie. This DIY jacket is chic and has just the right amount of edginess we’d want in any denim jacket. Biker clubs have nothing of this DIY shopper’s masterpiece. This should give us plenty of ideas when it comes to refurbishing our old jackets. Reviving a piece of old clothing can be tedious and we sometimes wonder why even bother. We may not all be fashion designers but luckily, we don’t need to be. Sometimes all it takes is one creative idea. This next DIY shopper had the idea to turn her denim jacket into a denim vest. A few cuts and stitch-ups later, she presented us a distressed vest. At Kohl’s, she would’ve been charged $20 to $30 for a denim jacket or vest. This lady saved big time! 8 Can’t Get Enough Of These Patches! A blast from the past! Patches are back in style thanks to the likes of celebrities such as Beyoncé & Blue Ivy and more importantly, DIY fans. 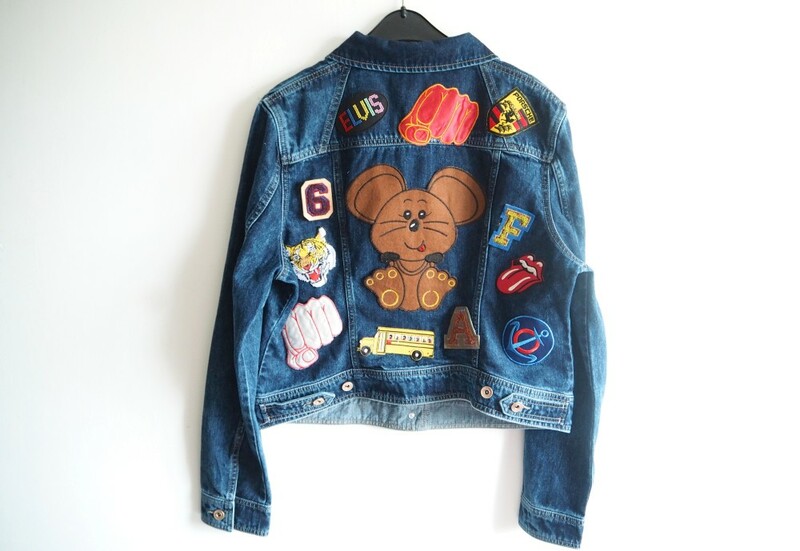 This denim jacket was made for kids with a variety of interests and vast creativity. Patches can add a bit of attitude and personality to our denim jackets, turning them from a boring old piece of clothing to something new. With numerous patch brands to choose from in the market, it’s worth trying out for the next DIY project. 7 Clothes Pins Are Forever! People love adding fabric and accents to their clothing, especially to their refurbished denim. While patches are fun and cute, so are other things, like pins. Rather than choosing from a patch brand, this DIY shopper decided to use her favorite pins to style her old jacket. The style appears simple, but somehow it feels new. We’re sure this new and ingenious take on the original patch idea costs less than $45 to make. Next time you decide to throw out your old pins, instead you can just use them to make a new denim jacket. There are definitely some clothes that a person shouldn’t wear out in public. Pleated and plaid are two of the biggest fashion disasters. Though not many people are into checkered colored shirts or skirts, this DIY shopper has made the new addition to her jacket compelling. There’s definitely an element of vintage and an indie-pop culture feel to it. People who love the '70s and anything plaid would definitely be interested in this look. We say go for it! What’s the best way to boast about your favorite sports team? It used to be jerseys, but after this photo of Kate Upton and her daughter, we’re sure pullovers are yesterday’s news. Now the wives and girlfriends of athletes are adorning themselves in denim jackets with their partner’s name and player number. We can’t even argue with how awesome of an idea this is! Jackets with leather sleeves have been swirling all over the internet nowadays. People just can’t get enough of the merger between denim and leather. After this next DIY project, you probably won’t either. This blogger decided that her money could be better put to use if she made her own leather denim jacket. In brief, she dipped the sleeves in black dye, then washed and dried the jacket before applying fabric wax to the material. Not only does it give the denim a leathery finish but it also makes it water resistant. There’s a saying that "a diamond is a girl's best friend". What this next DIY shopper did is something completely unexpected and yet, we can’t help but want to try the look ourselves. If you’d thought your old denim jackets looked a bit too dingy and old, you can style them up by applying crystals. 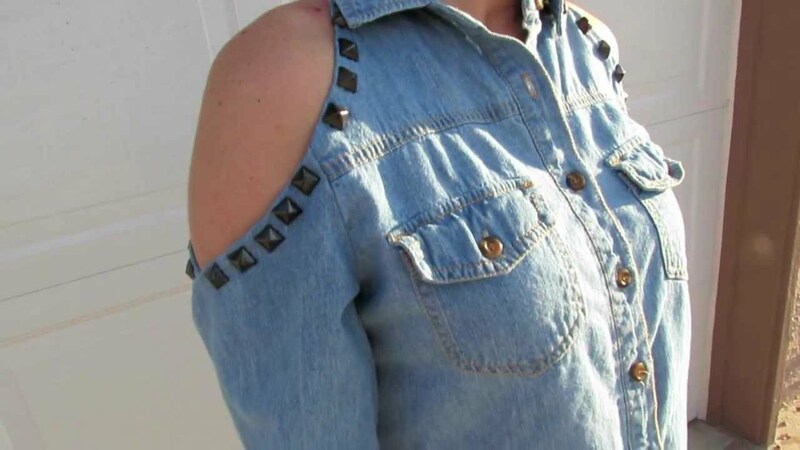 After watching her favorite YouTuber DIY denim jacket with studs, this woman decided to recreate the design herself. All she needed were a distressed jacket, a heavy-duty glue, and fifteen unused crystal chokers. Check out her video here. Similar to the off-the-shoulder jacket, this one offers an open shoulder style we haven’t seen yet. Somewhat of a tamer look, this design adds a great flare to the distressed jean jacket. Open shoulders are in and shoulder pads are out- so yesterday’s news. The look has become so famous that even Forever 21 got of a piece of the action. Though, their take on the trend went a bit too far. The critics did not love it.